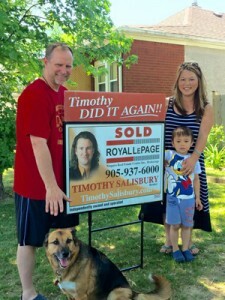 “After many months with no success finding a buyer for our home, a good friend connected us with Tim Salisbury. Tim consulted with us honestly and thoroughly, communicated openly and often, and represented us fairly and fiercely....and he got a deal done within a few short weeks. We could not be more thrilled! 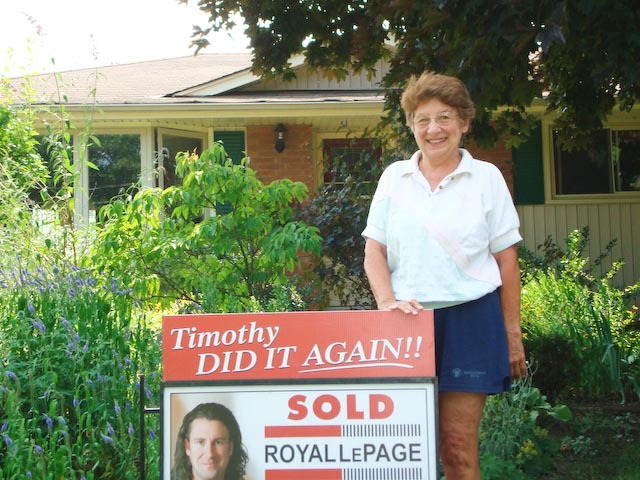 “We could not be more thrilled, and would recommend Tim to anyone who is looking for an agent! 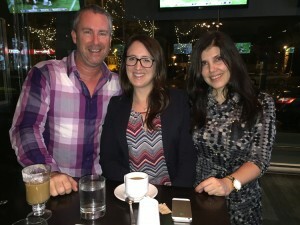 From the moment we met with him we felt confident that we were working with a true professional and that he knew this market incredibly well and could rely on his guidance through this process. “Timothy definitely is our go to man! This is the 3rd sale he's handled for us. He sold Larry's mother's home and our neighbours house as well. It was a simple and quick process and we are very pleased with how everything fell into place! I highly recommend the Salisbury Team to any buyer or seller! 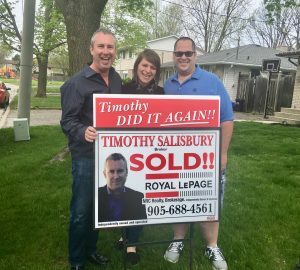 I recently decided to sell my home and I chose to have the Salisbury Team from Royal Lepage help me with this task. 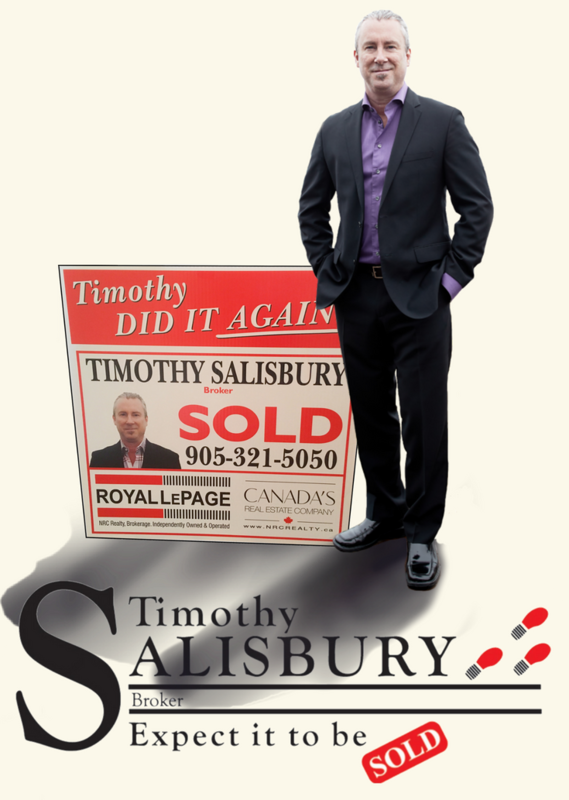 I chose the Salisbury Team because of their professional knowledge and expertise in the real estate market. A comprehensive marketing strategy was developed and the overall advertising presentation of my home was incredible. Ultimately the home was sold and I wanted to personally thank each and every member involved. I highly recommend the Salisbury Team to any buyer or seller! Well worth it and the results reflect their efforts. Thanks again! The house is sold! Thanks to Timothy and his Team! My wife Lynda and I first met Timothy 17 years ago, when we used his expertise to sell our townhouse and buy the detached home we are still happily living in today! Through the years, Timothy stayed in touch with thoughtful gestures and emails, maintaining a professional yet friend-like relationship. 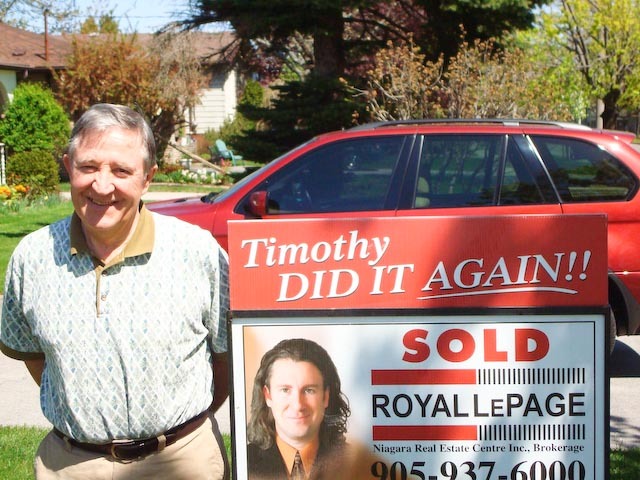 When my parents’ house had to be sold recently, I knew the only professional for me to contact was Timothy. 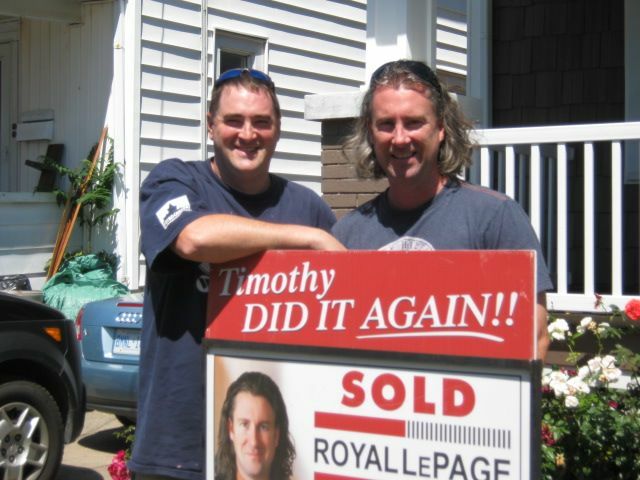 Timothy and Jim Gifford advised and guided us through the whole process of preparing the house for the market. Today, while writing this, I am sitting here with a big smile on my face. The house is sold! Thanks to Timothy and his Team! 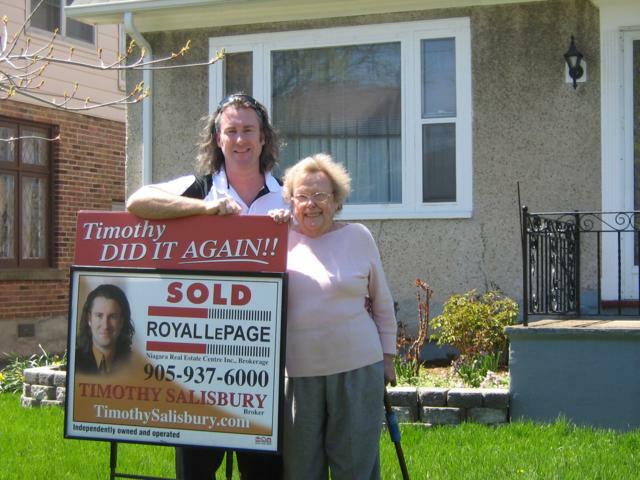 "Timothy was very understanding and made us feel comfortable during the entire process. It was done in the time line we hoped for. We really felt at ease. Timothy has a great team behind him! We had a lot of showings and the office understood what was needed with regards to booking and organizing all the appointments. Their communication with us was very good! From start to finish Tim worked with us above and beyond any of our expectations! Timothy and his team made it much easier for us. 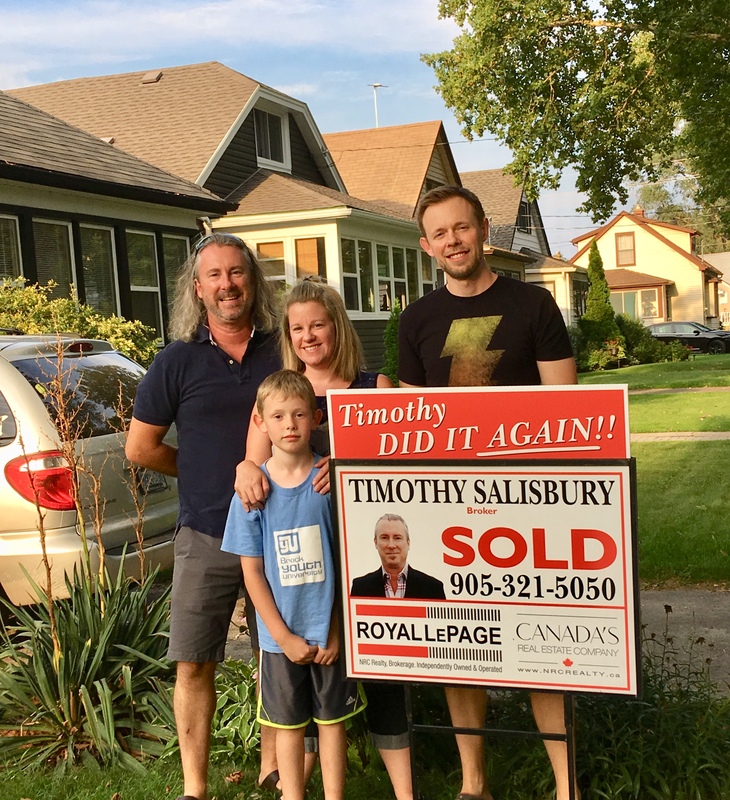 “Selling your home can be a daunting and stressful experience, but from start to finish Timothy Salisbury and his team made the undertaking much easier for us. His professionalism and tenacity brought immediate results, and we felt at ease knowing he was at the helm. Not only were you the 1st agent to promptly return my initial call, you always returned my calls, texts and emails within minutes of my questions and craziness. This was truly appreciated. You made my 'spur of the moment' decision to sell, very comfortable with letting me know every step of the process. (especially when I was out of the city). Also your visit last Saturday night, for my goodbye party, topped everything and it was truly wonderful to see you because I know you are always on-the-go. I will certainly highly recommend you to my friends and neighbours. 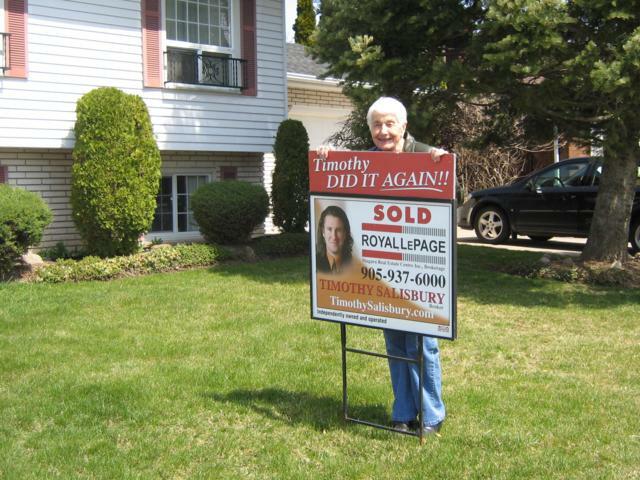 "Tim is a seasoned pro with a solid model for selling. He is a really personable guy. Tim was quickly able to assess our situation, needs and wants, while making us feel comfortable and at ease. The Salisbury Team’s process is smooth and it works! The marketing and exposure created a ton of traffic and interest. 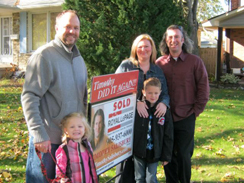 Our home was sold quickly, over listing price, with minimal inconvenience to us. They are a courteous and conscientious team. Communication was always prompt and thorough. We were well looked after and would definitely recommend Tim and his team. 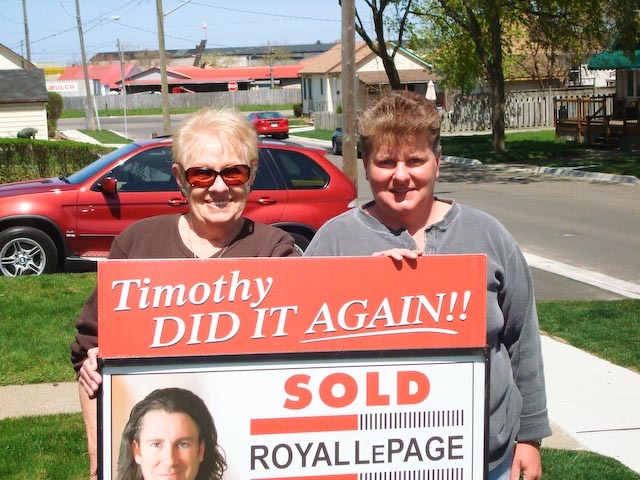 We noticed the Sold signs in the neighbourhood and decided to call Timothy and his team. We really appreciated his accurate pricing and marketing strategy. Honestly there were many homes for sale but he assured us it would sell ....and it did. 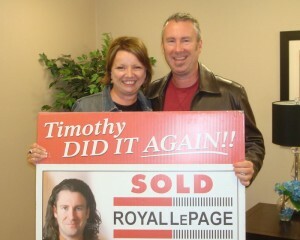 Tim and Lisa (our buyer agent) were always available and very responsive to our texts and emails. They both seemed very knowledgeable and calm when we maybe weren't! We are so happy to be moving to our dream home in the north end!! Thanks from Joshua, Teresa and Gracie!! 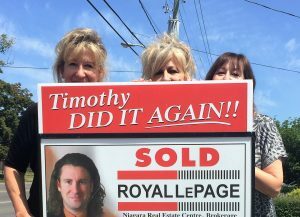 I would buy and sell all my homes with Tim and his team! The process was easy and we never felt pressured into making a decision. After putting our home on the market, I was nervous we wouldn’t have a lot of traffic. But I trusted my favourite agent and he definitely came through! We were always kept in the loop and up to date on all the different showings and appointments. I enjoyed all the laughs we shared. Thank you for everything! Tim and his team were very efficient. We sold our house in one week. Tim was always one phone call away. Thanks Tim! Jim Gifford was instrumental in the purchase of our new home. He was very helpful and always returned our phone calls. Thank you also Jim! Timothy was always very quick to respond to our emails and calls. He gave us great advice to maximize our selling price and it worked. Even though he didn’t get paid he also assisted us in buying our grandparent’s home and was a great resource to us. At the end of the day Timothy got us what we wanted. Thanks Timothy and the Salisbury Team! get me my new place. Really appreciated the extra effort. Tim was referred by my daughter and said, “You can’t go wrong with Tim!” and she was right. Tim was a true professional, courteous and overall just a great guy! Very service orientated, was always there for me and answered my questions. 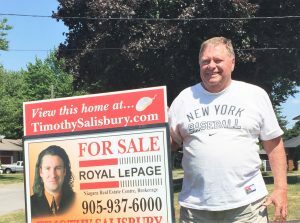 I would highly recommend the Salisbury Team to anyone selling their house. 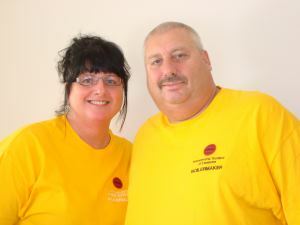 They were extremely helpful and professional during the sale of our home. We could always count on a quick response to any questions or concerns we had. We appreciated that everything was scheduled at our convenience, especially working around 3 young children. Tim ensured of us of a quick sale and did not disappoint us! Thanks again to the Salisbury Team! Tim was referred by a family member. He and his team came up with a great strategy and got us over list price and a sold sign in less than a week. Thanks Tim! Timothy was great to deal with and very professional. We received constant emails and confirmations of all the action as soon as we listed. Timothy didn't tell us what we wanted to hear but told us the truth in a way that made sense to us. He definitely kept us on track. Thanks for a great job! We appreciated the clear and honest communication with Timothy and how he handled all the paperwork for us. We really liked how the house was presented and the professional photos. I’m not big on words but simply, Timothy's attention to detail is amazing. He had a plan from the first day we met and it worked out perfectly. PS: My dog is crazy about the dog treats he kindly received from Timothy. What a seamless process. 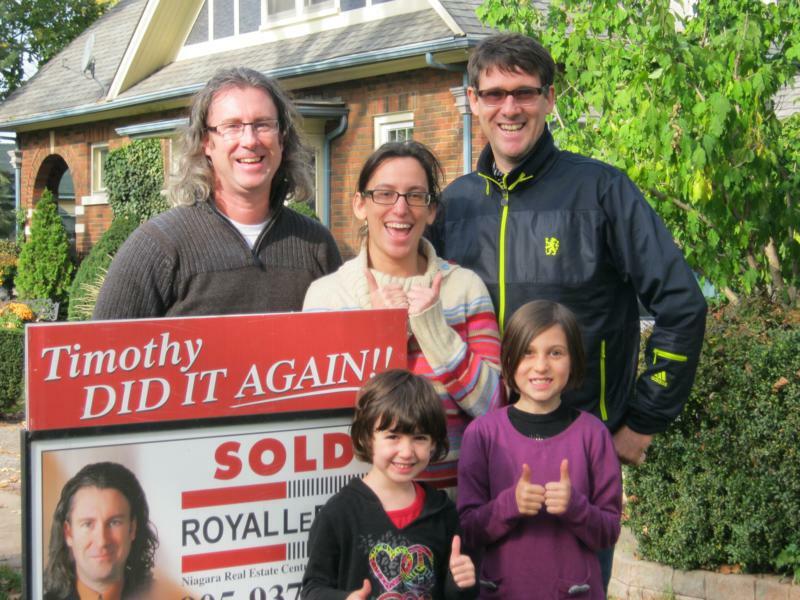 We felt Tim's advice prior to listing really helped the quick sale. The entire Salisbury Team was great! It made the selling of our home so effortless. It was a chaotic 5 days of showings, but it was worth it in the end! A good friend of mine recommended Timothy and I couldn't have been happier. He was professional and had a marketing plan for this crazy market. The exposure was out of this world and we sold it so quick and over list price! Timothy did it again! Timothy and his team have helped me buy and sell a few times over the years and each time I am reminded why he provides the best service... he really loves what he does! It shows in every conversation, from the initial discussion of what is important to me for this transaction and continues long after the sale. He listens and cares about his clients for a lifetime. I can count on him for everything house related. He is like a good mechanic, once you find one you trust, you don't mess with that! Thank you Timothy, for always taking really good care of me. We google searched the market place for an agent and Timothy was very noticeable with a great internet presence. We were also impressed with his background and that he donates money from his commission cheques to the local women's shelter. The whole process from start to finish was very efficient. Thanks from the 3 of us! We can't believe it! We're moving! Tim was so helpful, courteous and friendly. Alison was great on the buying end. Loved working with the whole team! We are so excited to be moving back to the north end! We appreciated all the gifts and the moving cards. Very nice touches by the Salisbury Team! I bought my townhouse over 10 years ago from the Salisbury Team and Tim hasn't missed a house anniversary or my birthday since! Who else would I call to sell my home? I'm thrilled with how quickly it sold and I can't believe I got over asking price! 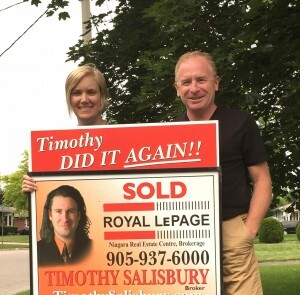 Thanks Tim and I wouldn't hesitate to refer you to anyone looking to buy or sell! 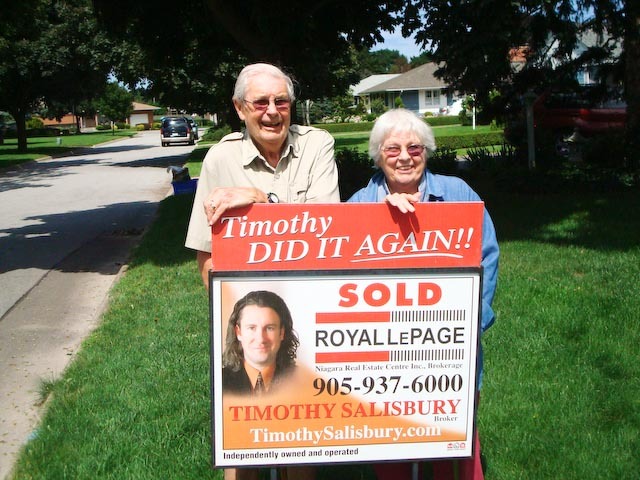 Over the last twelve years that I've known Timothy, I have had several close friends list homes with The Salisbury Team. I have also worked with Timothy by filming and creating some video testimonies with some of his clients. 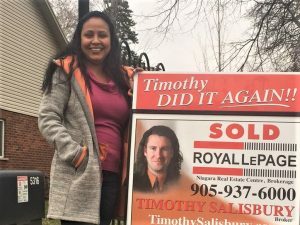 Based on all of this, I had complete confidence that Timothy would produce and I did indeed ‘expect my house to be sold’. Even with these lofty expectations, both my wife and I were pleasantly surprised at how easy the entire selling process was. It was all of the little touches that really impressed us. Timothy had us fully prepared and thought of everything before we put the sign in the ground. The end result - three days later, we are in his office signing papers with huge grins on our faces. 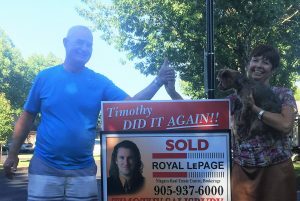 Thank you Timothy for delivering results and being such a great friend. This is the second time we have used The Salisbury Team. We found Tim to be very professional, personable, a good communicator, a problem solver, high in integrity and very trustworthy. A great process! Selling a loved ones' home can be difficult, especially from out of town, but everyone on your team was so helpful, responsive and attentive to any questions that I had. I had full confidence that you and your team had my back. Thank you Timothy! Great job to you and your team. We had a great experience listing our home with Tim and The Salisbury Team. They provided excellent customer service - Tim was honest, personable and available for all our questions through the process. 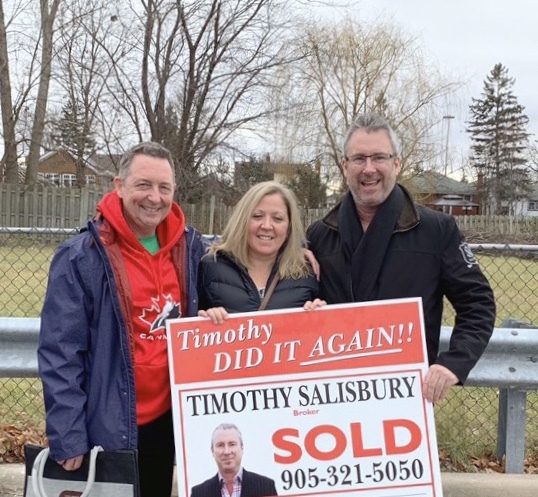 With Tim and his team, we were able to list, show and sell our home in under a week, with three offers to choose from, and selling for over asking price! Thanks so much! Timothy and the Salisbury Team did an excellent job representing our house on the market with amazing results!! We are very appreciative and will recommend Timothy to anyone we know in this area if the opportunity comes along. We were very happy with the overall experience! 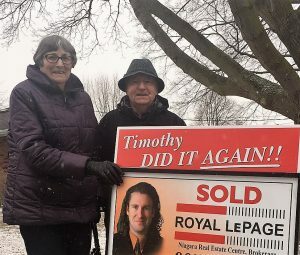 I had to sell my father's home in Niagara. Being from Toronto, I had no idea whom to hire. 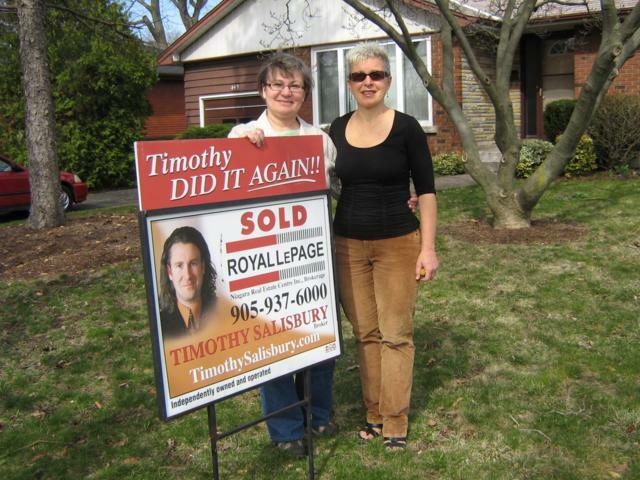 My friend and realtor friend in St. Catharines, Nina Ruberto, immediately mentioned Timothy and his team. I spoke with Timothy numerous times and once I met him, I felt comfortable right away. He did an incredible job and we sold the house with no issues and for more than I expected! PS: I also appreciated the thoughtfulness after the deal closed. Timothy took both Nina and I out for dinner to celebrate the sale! Awesome customer service! We bought our 1st home just over 3 years ago so we thought it would be easier this time having experienced the process. Boy, were we wrong! It ended up we really needed Tim and the team to walk us through both the buying and selling process. After a few sleepless nights, we now have our dream home and have sold ours. We really can't say enough, Tim was great, patient and took care of everything. I have dealt with Tim and his team for many years now. Thanks for selling another one for us. It was quick, painless and the price exceeded our expectations. Thanks Tim! 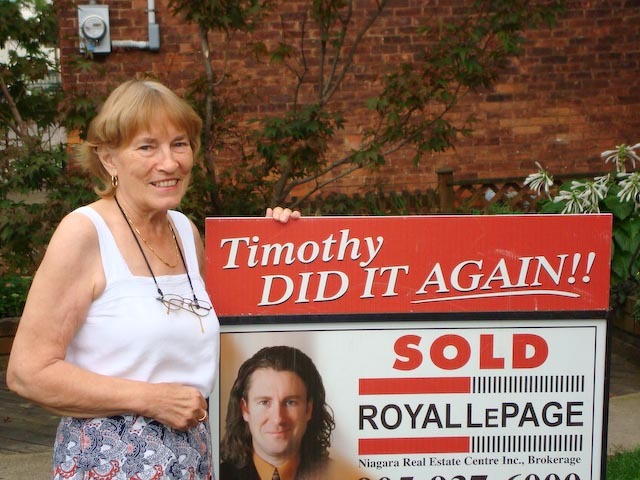 Tim was so good he sold our house twice! His team helped us with any questions we had about our sale from start to finish. 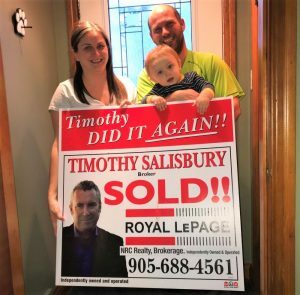 Everything was handled in a way that made us sure we made the right choice to choose Timothy Salisbury to sell our house! We are a family of not many words, but in the selling of our home, Tim, the office staff and everybody involved with his team were excellent. It is with great pleasure I write this letter of recommendation for Tim Salisbury and his team at Royal LePage Niagara. 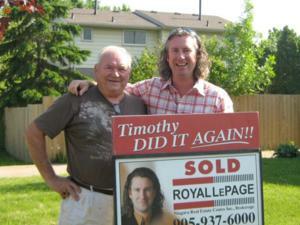 This is the second time I have asked Tim to guide me on the sale of my home, and once again I chose the right agent! Tim's preparation and pre-listing diligence gave us the confidence that his strategies regarding listing price, time lines and expectations were sound and supported by local industry knowledge and proven best practices. This hard work and preparation were very important to us as we had already purchased a home out of town with a firm closing date and no conditions on the sale of our current home; a nervous time for us indeed. Tim helped us through a stressful time when after only 2 days we had 3 offers but they were somewhat disappointing. He convinced us his plan was sound and that we stay patient for just a few more days. His strategy worked, as we sold the house after receiving 2 more offers, all above asking price and with almost no conditions. 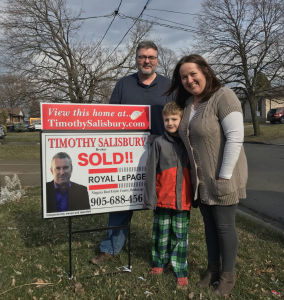 The deal was closed in less than 10 days from listing and we are once again getting a good night's sleep...Thank you Team Salisbury! I have bought and sold with Tim and his team before. This time his challenge was to sell my rental house and interact with my tenants! 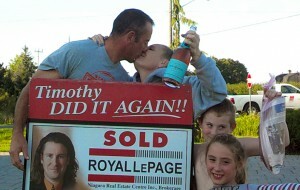 Tim and his crew were beyond successful and my house sold in less than a week for MORE than asking price. It was another great experience. If you don't know what you are doing, do it with someone you trust. I trust Tim and I would recommend him to anyone. We were so excited to see the SOLD sign today. We really can't believe how fast our house sold. Timothy's approach and expertise made this process so easy for us. Thanks to Timothy and his team. They have done a remarkable job in so many ways! 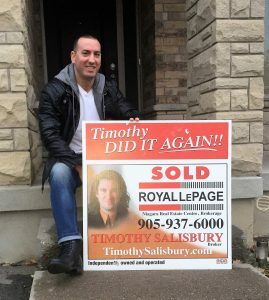 If anyone is looking for a realtor to sell or buy a house, we would definitely recommend Timothy and his team. 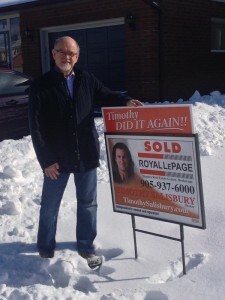 With my schedule, it was good to have people on The Salisbury Team looking after my house and the sale. Timothy made it happen very fast and I was glad for that. The Salisbury Team with its additional services helped with the sale of furniture and goods and made several suggestions to help with my move, going above the call of just real estate services. Thank you! Thank you Tim and your team. 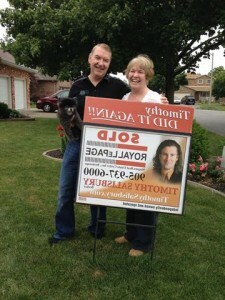 You made the experience of selling our house so easy and stress free, it was awesome. From our initial meeting, to listing, to helping us find our new home. It was an amazing and easy ride. We would recommend the Salisbury Team to anyone looking to buy or sell a house!! Jason and Amanda Berg with Emily! The Salisbury Team was great to work with. The sale of my home went very smoothly which made this a pleasant experience. Waiting to see if the conditions were met was tense, but it was only a short time to wait. 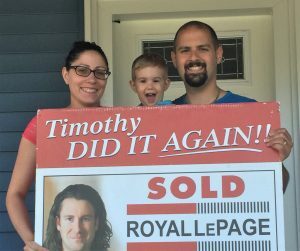 I certainly would recommend Timothy and his team. Everyone was very good. Thank you! 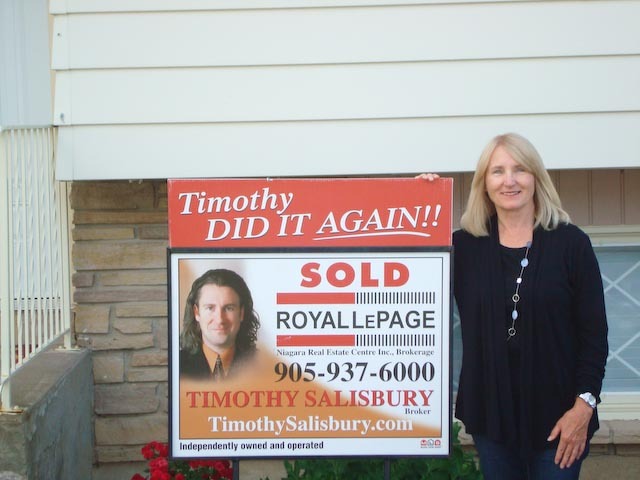 The Salisbury Team made selling my home completely painless. I was confident leaving the details to them. 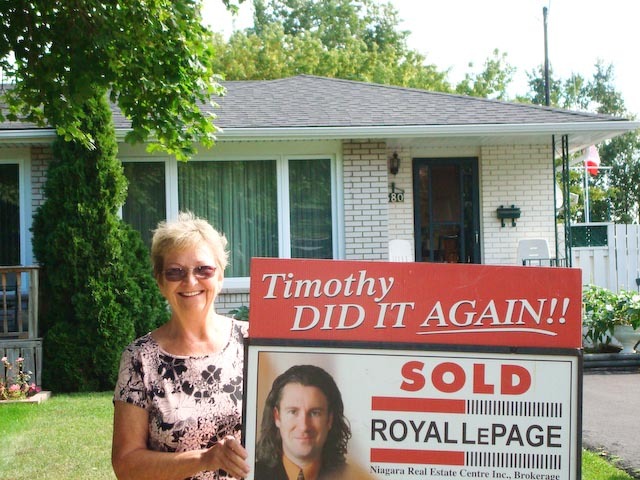 Tim's knowledge of the local market and trends were key in selling my home under 3 weeks. 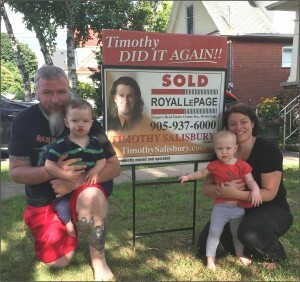 We are so pleased that we chose Timothy to sell our home. He was so easy to talk to. He knew what we expected and he worked hard and fast to help us reach our goal. 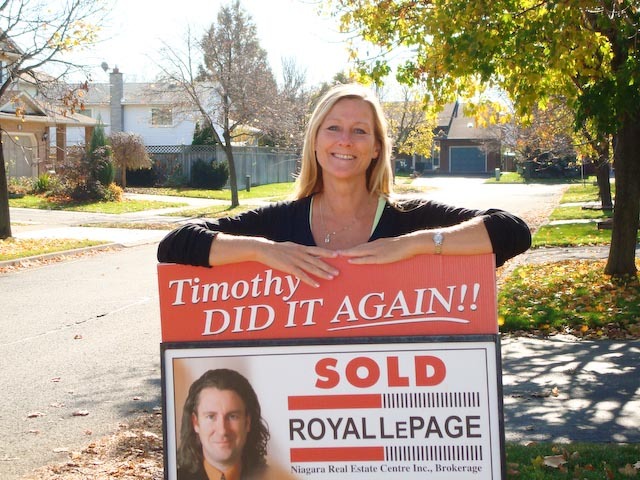 We would highly recommend you choose Timothy if you want to sell your home. 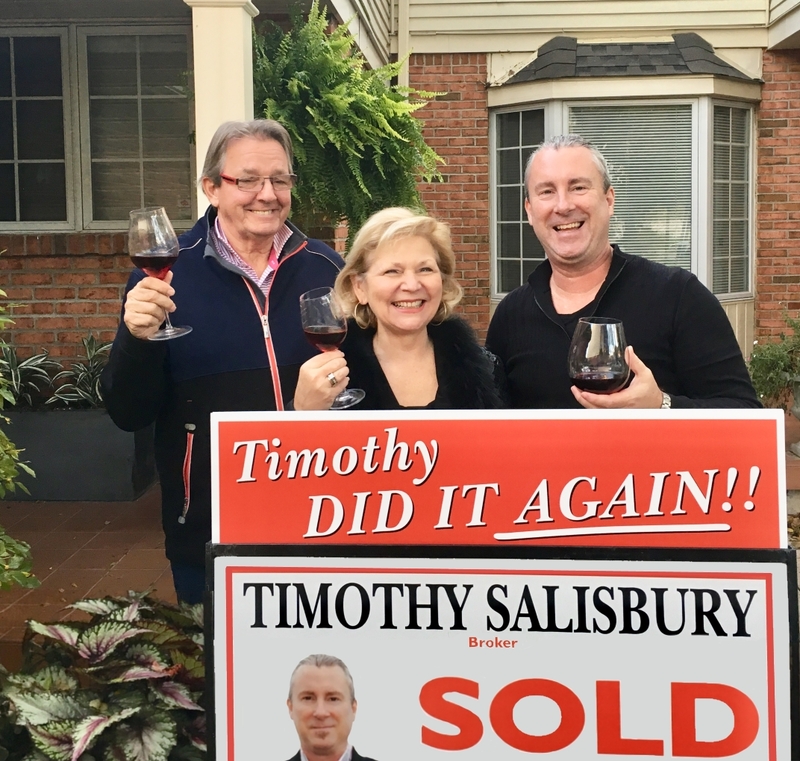 It is with pleasure and gratitude that we share comments on our experience with Timothy Salisbury in the listing and sale of our home. While we have bought and sold a number of houses, we have never before encountered such a level of excellence. We had listed our home with three other agents before Timothy and none seemed to understood our unique home and location. 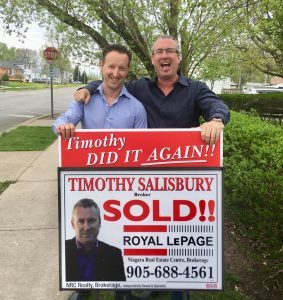 Over the last three agents and four years each used the same strategy they had used with every other client when the real estate business was easier… with the guidance and unique strategy of Tim and his team our home was sold in four months. The experience at each phase of the sales effort was superior, such as innovative efforts in developing prospects, useful insights on staging, effective showings and proactive facilitation during buyer negotiations. All of these tasks, whether business-related or interpersonal, were accomplished with a noticeable degree of competence, humility, integrity and grace. 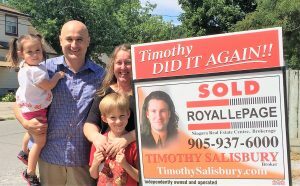 Thus, we highly recommend Timothy Salisbury for residential real estate needs. It was great working with the Salisbury Team! 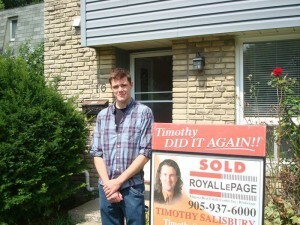 I really appreciated Timothy’s professionalism and honesty in quoting a price on my home. He told me what I needed to hear, ‘the facts’ to get my home sold! I listened and my home sold quickly! Glad to be moving forward. Thanks for the experience! 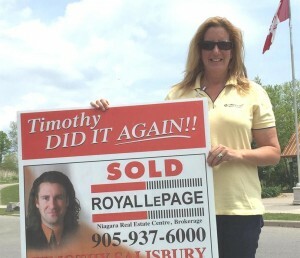 Tim has been my real estate agent in selling three houses! 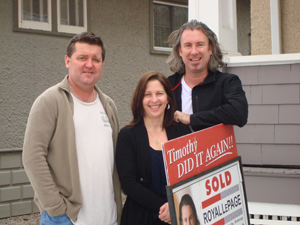 As repeat clients, Tim has earned our highest recommendation for anyone desiring to sell their property or buy one. His in-depth knowledge of the industry and market, along with his strong work ethic, makes him an excellent real-estate agent. We have never seen a harder working team and as busy as they are, they made us feel like their most important client. They are not only professional, they are a pleasure with whom to work. If you're thinking about listing your home and you're not sure which agent to hire, we suggest you list with Timothy Salisbury, our "go to realtor"! Much thanks Tim! You are great at 'service' and we enjoyed working with you. Much continued success! We haven't moved in 20 years! 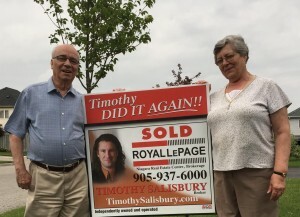 Being out of touch with real estate for so many years, we really appreciated Timothy and his team, whom we met about a year ago. 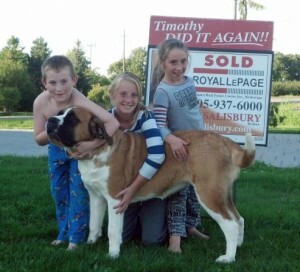 We found Timothy to be very proactive, yet patient and involved in our selling process from start to finish. 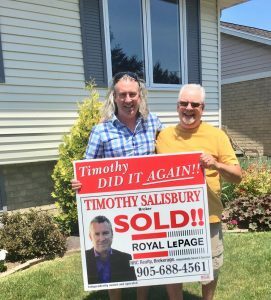 The Salisbury Team's "network of professionals" took care of any issues we had, as Timothy always had someone who could and did help. 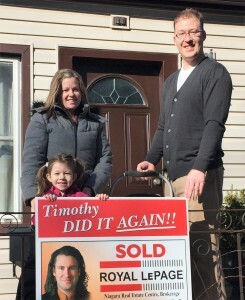 Thanks so much for selling our home Timothy! Before listing my home. 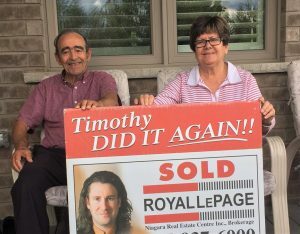 I saw Timothy's Sold signs in my neighbourhood, his marketing in newspapers and on the St. Catharines Standard website. I needed someone who was going to look after my interests and basically 'shake the trees' to find a buyer. 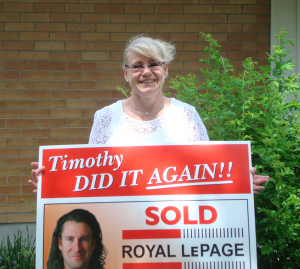 My expectations were definitely met by not only Timothy but his entire team and the Royal LePage staff. As a bonus, I never expected to get over list price! Thank you to the Salisbury Team for helping us with the sale of our home and the purchase of a new home. The office girls always gave us ample notice, Pat was great to work with, and Timothy always returned our calls promptly. We are very happy with the end results and would recommend the Salisbury Team to our friends and family. We just want to thank you and your team again for your efforts on our behalf. We really appreciate all you’ve done for us. If we hear of any friends who are thinking of selling their house, we will certainly recommend you to them. Really liked the creative personal marketing efforts that Timothy offered for our home. Communication from Timothy, his assistant Pat to the front staff was great. 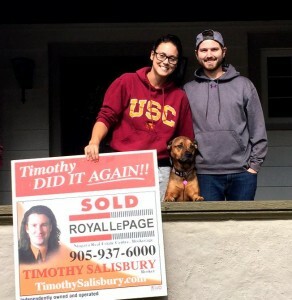 Overall we were very happy with Timothy’s real estate services and surprised how quickly our home sold. Thanks. Everything was great and it sold so quick!! Communication throughout the whole process was appreciated. Clear concise information which made my decision making much easier. Felt Timothy was really looking after my interests, he was down to earth and honest. 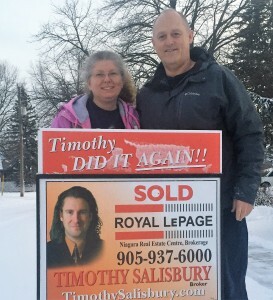 We bought our home from Timothy Salisbury about 17 years ago and Timothy has been in contact ever since. We’re so happy that we have sold our home and moving to the northend!! 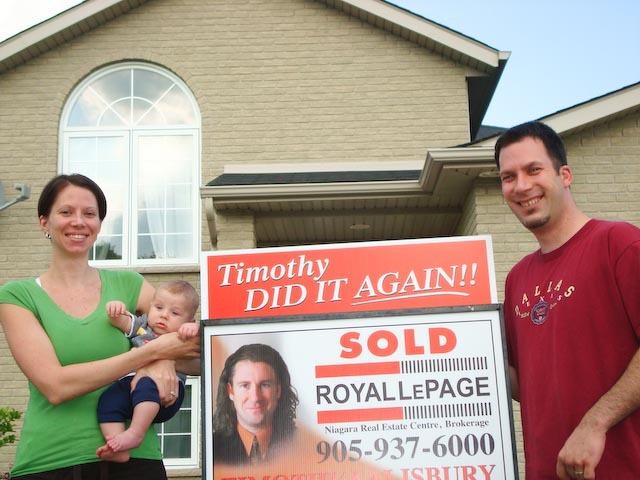 Timothy along with his staff and network of professionals made this a very easy and stress free process. Overall a great experience. We feel very fortunate that our home is sold and now we are able to move on with our plans to retire in Arizona. This is the second time we have used the Team and we find doing business with Timothy and his entire team is great. Timothy’s patience, willingness to accommodate to our schedule and awareness of the sensitivity of our stress in making this big move has made this sale a smooth one. Thanks again Timothy! 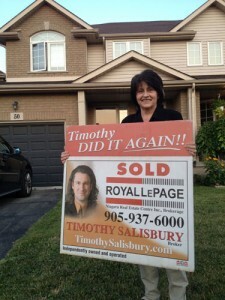 A very good friend of mine sold her home with Timothy and his team. Simply, I would recommend him to anyone who’s thinking of selling. He priced it right and sold it quickly for me. I appreciated his time and his entire team’s efforts. I truly felt that Timothy treated me like a family member and was looking after my interests. Thank you to the Salisbury Team! My house is sold! Timothy and his team gave me excellent service and I enjoyed working with them. Everything took place with no problems and I am glad to have this off my mind. 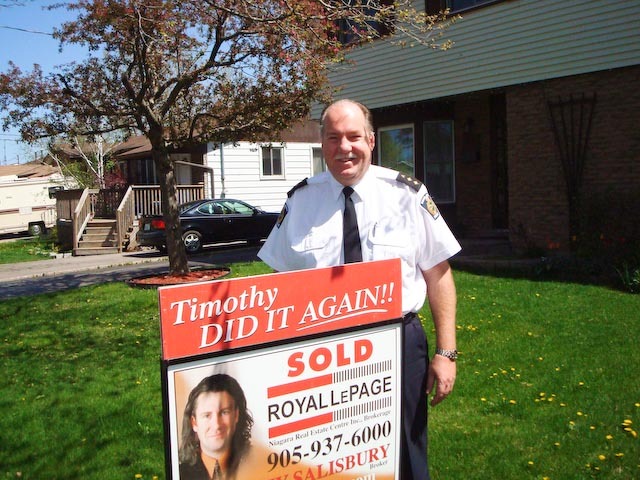 I would recommend Timothy to anyone wanting to sell their home. 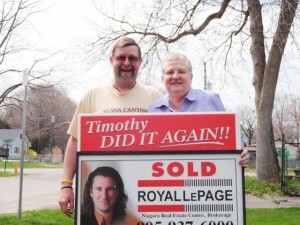 Timothy and his team were consummate professionals in selling our home. Every detail was covered, and they made the entire process seem easy. 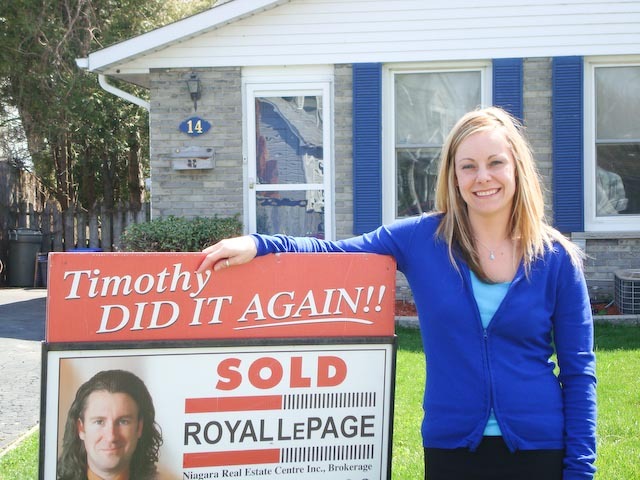 Our home sold quick, and Timothy both listened to our concerns and gave us great advice along the way. I would recommend him and his team to anyone looking to buy or sell. After I bought my 1st house. Timothy has been in contact with me ever since. 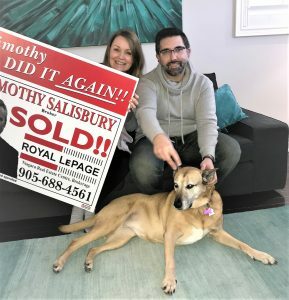 The Salisbury Team was very helpful in guiding me through the entire process when it came time for me to purchase my first home, and because of their GREAT service I have been a loyal client ever since. In the sale of my recent home, the Salisbury Team was again on top of their game and my house is now Sold! Thanks for all your help! Overall, selling our home with the Salisbury Team was a great experience! The Team was knowledgeable and professional and always in constant contact with us, updating us on showing feedback and the current market conditions. We appreciated how they worked as a team. 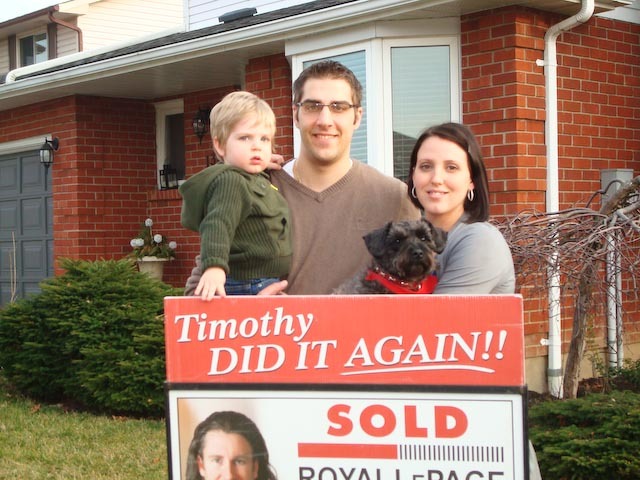 Timothy was very aggressive and didn’t stop until the house was sold. Thank you Salisbury Team! As a recent client of Timothy Salisbury I am pleased to write this testimonial. My house sold in three days. If that was the only reward I received for choosing Timothy as an agent I would be glad. However, choosing him as an agent didn't just get quick results. I was impressed with his sincerity and dedication. He went out of his way to make my experience a pleasant one. I am confident that he negotiated with my best interests foremost in his mind. He went above and beyond by helping me stage the house and providing contacts in various professional fields, which in my opinion factilitated a quick sale. I will definitely recommend him to everyone who is thinking of selling or buying a home now and in the future. 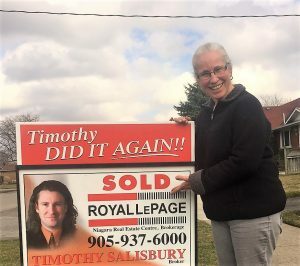 I had heard wonderful things about Tim from colleagues and friends who had used him in the past to sell their home – so my husband and I thought let’s meet this guy! My first impression of Tim was that he was extremely professional, knew the market in our area very well, was kind, sincere, and very thoughtful of our family make-up with having a toddler and a pet dog. We were very impressed with his team-approach to selling our home and how quickly everyone was to follow-up with us. We listed on Monday and we had received an offer on our home within 5 days! It has been a very positive experience working with Tim and his staff and would definitely, 100% use him and his team in the future! 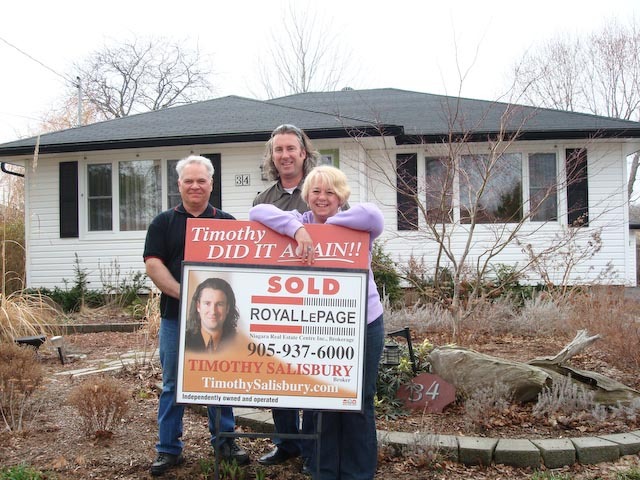 Team Salisbury did everything they could to support me through the home selling process. They provided direction and leadership in selling my home as well as assistance with legal and other needs involved in selling and moving. I would highly recommend anyone to use the Salisbury Team if they are selling their home. On a side note, the staff are courteous, professional and attentive to the client they serve. This is our 5th purchase or sale with Tim and the Salisbury Team. We keep coming back because of the impeccable service, attention to detail and most of all the wonderful friendship and trust we have made over the years. If anyone asks or even if they don't we tell them to call Tim. If you want the Sale or purchase of your home to go smoothly then this is the only call you have to make. A special thanks to Karl for finding the home of our dreams and to Tim for wrapping it all up with the quick sale of our current home. Jeff, April, Oliver, Aubrey and Charlie! 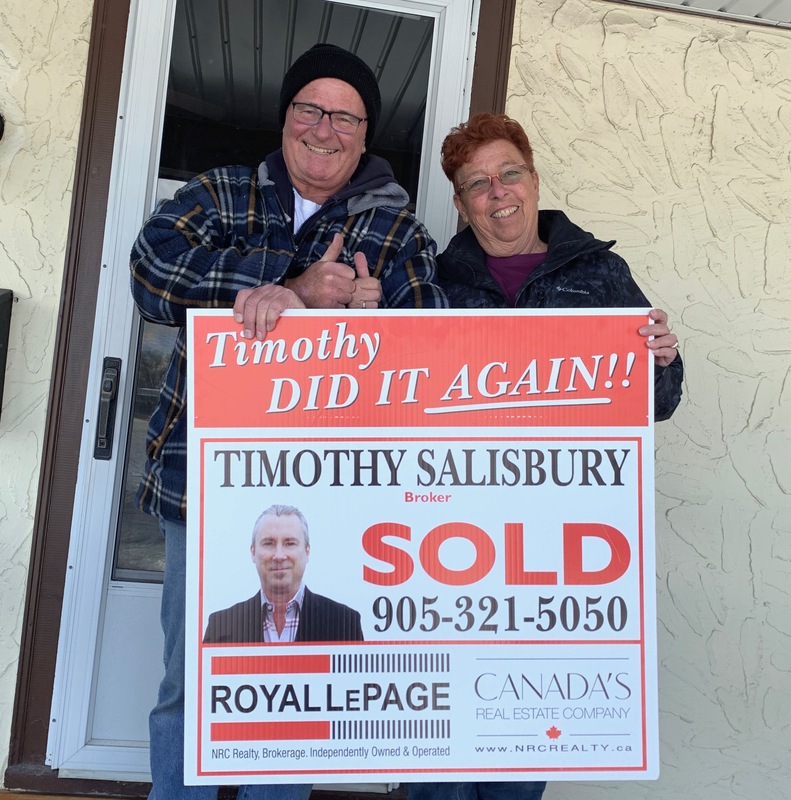 Timothy Salisbury was our agent on the sale of our house, and I cannot fully express how crucial it was to have someone with his level of expertise and industry savvy on our side. 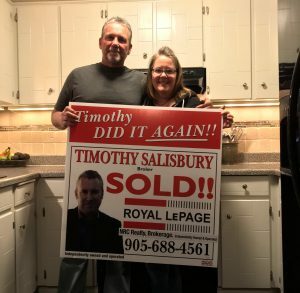 Timothy spent untold hours simply researching the particulars of the market in our area so as to come up with a price that was fair, competitive, and that would lead to a quick sale (and the proof is in pudding: he sold our house in 8 days). 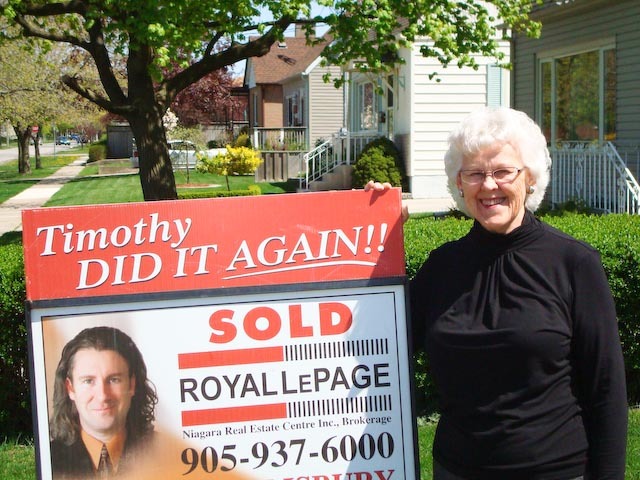 During the entire process of buying and selling, Timothy made his entire team of professionals available to us, including a mortgage specialist, a home-stager, and a lawyer. There is not a single question that this team cannot answer, there is not a single moment when you feel that they are not working hard for you, and the work they do is nothing short of phenomenal. 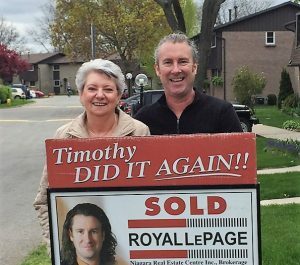 From the first moment that I engaged Tim as my real estate agent, I was confident that the sale of my house was in the best possible hands. He was honest, forthright, and reliable. He clearly articulated all expectations and advice, and communicated regularly with me as to the progress and status of the sale of my home. Tim kept his word in all facets of the process, and successfully closed the sale in an effective timeline that exceeded my expectations. 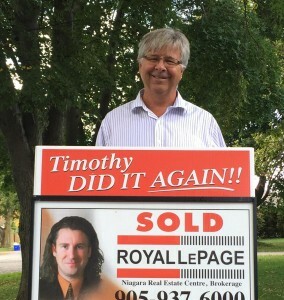 I would strongly endorse Tim to anyone looking to sell their house via a pleasant and seamless process. Thanks for everything Tim! 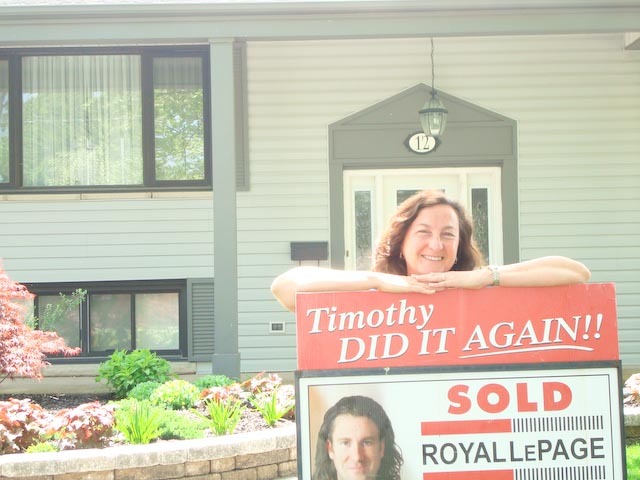 From Timothy to the staff at his office, this selling experience has been a great one. I received constant feedback from all showings and weekly stats on the activity. Excellent service, thanks Timothy! From day one, I was impressed with Timothy and his entire team. Constant contact, feedback after showings, everything was great. 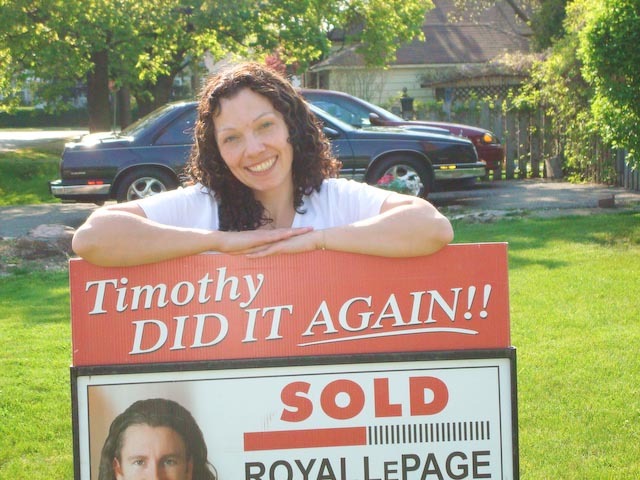 I knew I could trust Timothy to sell my home and he did. 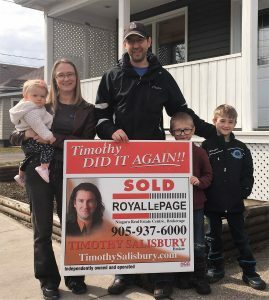 We chose Timothy and The Salisbury Team because we heard about Timothy’s successful selling rate, lots of good things plus Sold signs everywhere. When we met, it was “let’s get started!” Everything was positive and we received lots of informative updates, many showings and good advice. The whole team was very friendly and easy to deal with, especially Sally. After 1 month, our house was sold as promised. After all the signing, we even received gifts and a nice supper to celebrate. I would definitely recommend The Salisbury Team! V.P Translogic Express Dedicated Inc. I was so pleased with the sale of my house. I didn’t expect that everything would be as easy as it was! I am very satisfied with the entire team and the work they did to sell my house quickly! Thank you. We dreaded the showings that we would have to happen to sell our home. 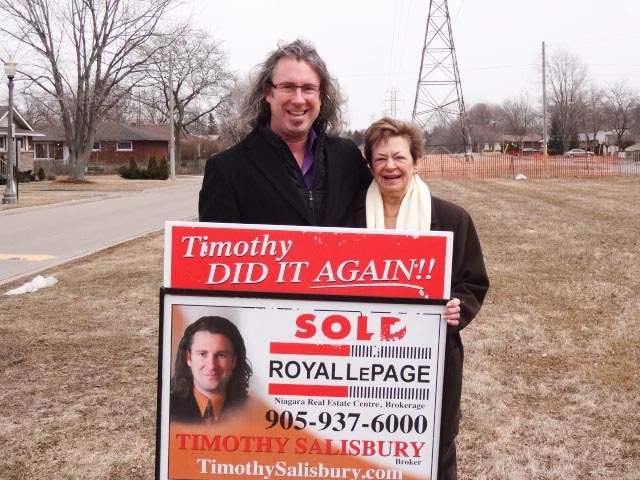 However, due to the efforts of the Salisbury Team, we accepted an offer almost 48 hours after the listing hit the MLS! The sale of our home was seamless. Thanks for everything to the Salisbury Team! We couldn’t be more pleased. The entire Salisbury Team showed us from the beginning that they care about their clients more than anything else. Thank you for taking an intimidating and scary experience and turning it into an exciting, happy time for our family! We'll recommend the team to anyone we know looking for help with the sale or purchase of a home. And if we need help in the future, we'll be contacting Tim! Steve, Julie, Tori, and Brynn. 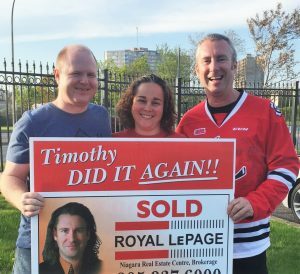 Even though Tim wears the wrong jersey, when it came time to sell my home I dropped my gloves, shook hands and joined Timothy and his team so we could get the job done. 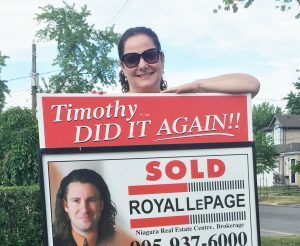 Thanks for selling my house Timothy! What an overall great team effort! Timothy returned calls promptly and the communication was good. We sold our home quickly so we could secure our dream home out of town, which was a bonus. Even when a few problems came up, Timothy was able to smooth them out and walk us through it. Great job and thanks! 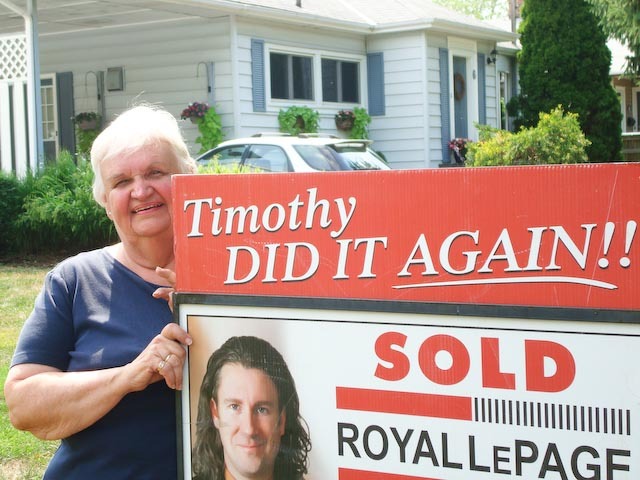 The reason we called Timothy in the first place was because of his many sold signs in the neighbourhood. He was very helpful, professional, always in contact with us and worked around our schedule. I always appreciated knowing when potential buyers were coming even when I couldn't be home. And I liked it that it wasn't necessary for me to leave home every time someone wanted to visit. Overall, I was very satisfied with Timothy and the Team. The service provided in selling my house was excellent. I liked the constant communication via e-mail. I always felt that I knew what was happening on an up to the minute basis. I have no suggestions for improvement. Another great service The Salisbury Team provided was having the lock box on my front door so I never was inconvenienced by having to wait around for people to arrive. Also the staff I spoke with on the phone were always very pleasant and helpful. We simply can’t say enough about the service of The Salisbury Team. Everything has been exceptional and our home sold so quickly. 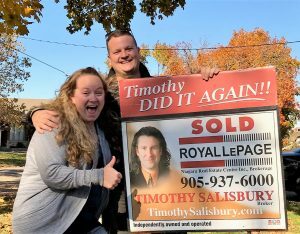 Friends of ours have been on the market for awhile now, Timothy listed our home Monday and brought us a full price offer the very next day, we’re still in shock, thanks Timothy!! Timothy, you were like a friend to me. You and the team did a excellent job every step of the way. I can’t say enough good things about what you did for me. My life completely changed when I met an individual to whom I developed a committed relationship. This led me to market my home. 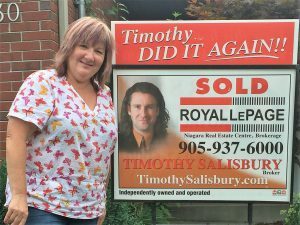 I learned of Timothy Salisbury and subsequently met and agreed to list my home through him. 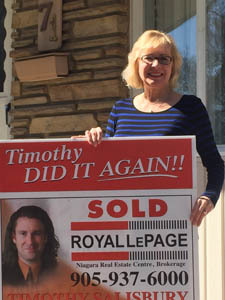 Timothy promotes a team concept which includes me, the seller, a staging individual and other sales and listing personnel. From the very beginning Timothy is a professional. I had no difficulty in believing that my home would sell, but I also knew that it would take a special person to recognize and feel comfortable purchasing my home. 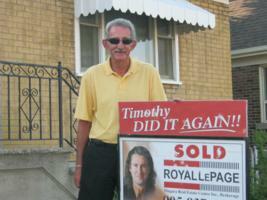 Through Tim’s team concept, showings were made and eventually a successful buyer agreed to terms. I am completely satisfied with the efforts of Timothy and his Team. 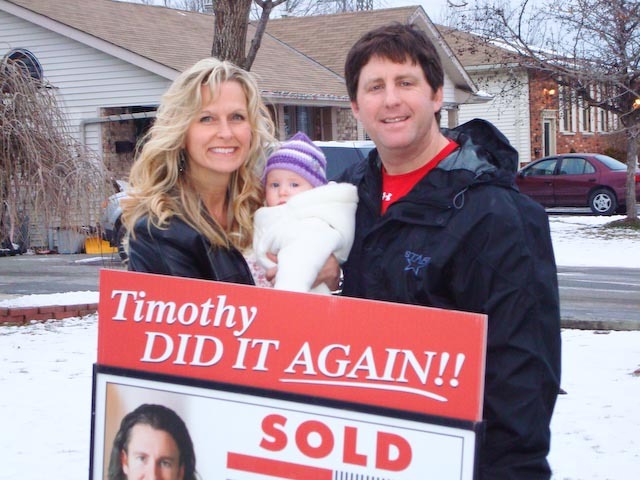 I would have no hesitation in referring Timothy and his Team to other prospective home sellers or buyers. 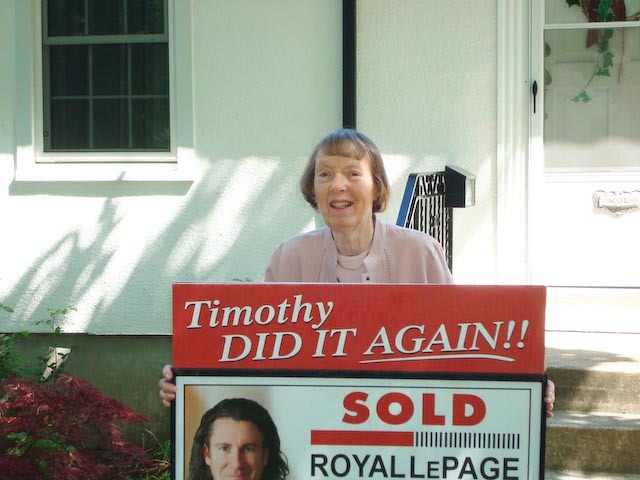 Timothy worked hard to sell my home. I was impressed with how quickly he got the job done. The Salisbury team started by giving me suggestions on what needed to be done to best maximize the value of my home through his network of professionals. Once my home was listed, showings started almost immediately. Any questions I had were always answered quickly. 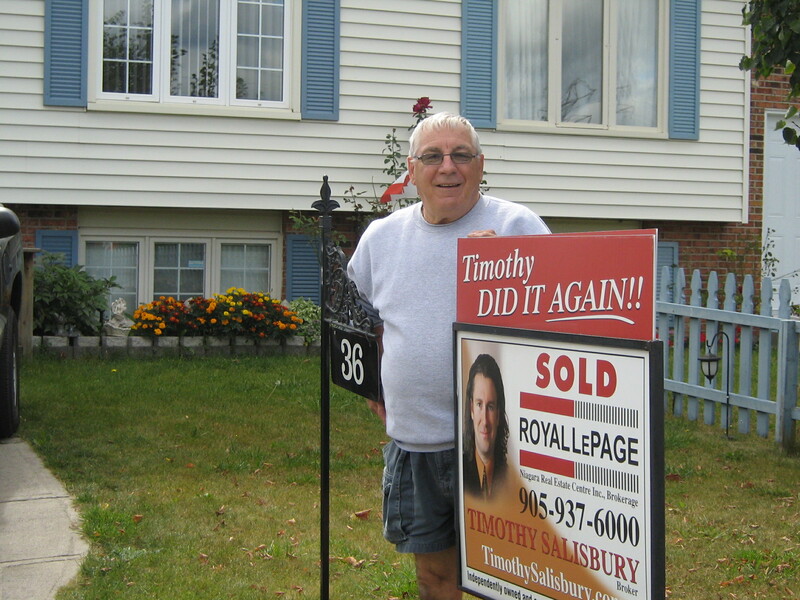 Timothy was able to sell my home for a value that I wanted. Thank you for all your help. I can’t believe how simple and stress-free this was, from start to finish it was less than a week!! 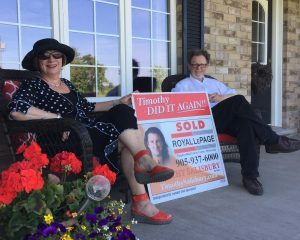 The team support was great, from Timothy’s assistant Pat and the Royal LePage front office staff, to the home stager from Staging Spaces, they were all outstanding. The daily contact as to what was happening with the home was much appreciated as well. Thanks Timothy, the service was great and I was very impressed. 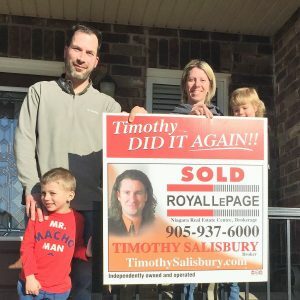 When I was looking for a Realtor, I requested honesty, prompt attention and fair play, and that is exactly what I got from Timothy and the team. I appreciated Timothy and his entire team in making this a very quick and smooth transaction. What a marvelous job Timothy did for me!! It was a pleasure working with him and the team who provided me with such professional service. I was always well informed and constantly updated, which was a very nice touch. I received great service from Timothy and the entire team. He was friendly, efficient, very thorough from start to finish, up front and honest. All these things resulted in a firm sale in under a week. 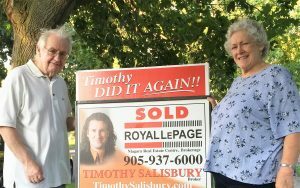 We were very pleased with our experience with Timothy & his team, from our first contact to the final sale of our mother's home. The professional, experienced, knowledgeable & informative approach allowed us to relax & feel confident that we were in good hands. We appreciated the ongoing communication & frequent showings of the property. Moreover, the comfort level we quickly acquired with everyone was remarkable - you should be commended for your ability to quickly 'read', build a rapport & comfort level with individual personalities. Your easygoing, confident approach, (along with a healthy dose of a sense of humour & refreshing uniqueness of personality) helped make the experience a positive one. We will recommend 'the team' to anyone who will listen. Timothy is simply a true professional! Any time we had questions, he returned phone calls promptly. 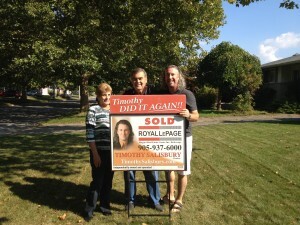 The entire team and the Royal LePage staff was always friendly, very flexible and worked around our hectic schedules. Even though we are very good friends with Timothy, he treated us with the professionalism he is known for, thanks Timothy! Tim provided us with superior service from start to finish. His immediate response to any questions, marketing plan, and industry knowledge are just a few of the reasons why he was a pleasure to deal with and proved to be a real asset during this slower market time. The complimentary services such as home staging was a very nice added touch and helped to sell our house in just one week! This truly puts Tim above his competition. We would highly recommend him and his team for all of your real estate needs. From the first time I met Tim, I felt that he was somebody I could trust. I know that he and his team would have my best interests at heart when selling my home. We were referred to Timothy through a friend. 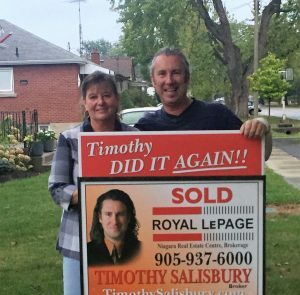 We were very impressed - Tim gave us lots of hints that would help sell our home fast, and before we knew it our house was sold - in 3 1/2 days! Great team, great communication and would highly recommend the Salisbury Team!"